You have invested in video production but now what? Are your videos accessible online? Are they posted on your website, YouTube, Vimeo or other platforms? Yet they do not show up on page of Google and other major search engines. Just like websites, videos can be optimized and actually be ranked in search engine results at times even higher than websites. We are constantly striving to discover new ways to optimize videos on YouTube, other platforms like Vimeo or your website. At the core of our company is the genuine desire to improve our techniques for top results each and every time. 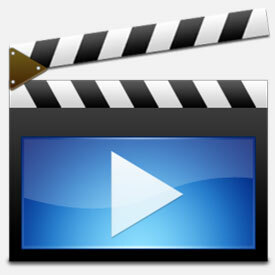 Video Optimization is the art of getting your videos to feature highly in search engine rankings. It will bring no benefit to have a beautifully made video if it does not feature within the first few pages (ideally the first page) of Google, Bing, Yahoo or Ask, because no one will get to see it. We are experienced in all types of search engine optimization. We are business savvy and use our knowledge to provide our clients a positive return on their online investment. Our wide range of clients served includes businesses, large corporations, and individuals interested in improving their web presence through the optimization of their videos.